I really like the idea of pointing out the “good parts” of a language, encouraging good coding practice by using the bits that make sense. This book takes just such an approach, and is unabashed about highlighting the parts of the language that the author thinks are bad, such as the poor scoping rules for variables. More importantly, the book has proposes best practices for working around the limitations, as well as utilizing features in an effective way. For example, utilizing a single global object instead of a pile of individual global variables reduces potential naming conflicts with other modules. For developers who already know one or a dozen other languages already, this is a refreshing approach to getting up to speed in a language that has a number of features that are not in common with other languages. Installing Docker via AWS Elastic Beanstalk or on a local Linux instance. Brief reference to other container systems on Windows and Mac. I must say I’ve been happy with Amazon Web Services. I utilize accounts both for business and personal, and I’ve been very pleased with the progress of their development of additional services, including SQS, SES, and RDS. I’ve been aware of some of the holes in the stretched pizza dough, but like many consumers, there’s no reason to evaluate other options until things actually get painful. If you stop or reboot a running instance— which obviously stops your production instance— you’re required to confirm your intention. If you create a new machine image from a running instance— which in not-at-all-an-obvious way stops your instance— there’s no warning. If you use the Amazon Web Services console to manage your various tools, you’re shown only the obscure initials for the services— EC2, SES, S3. If you try to manage the administrative logs, you’re shown only the fully spelled out service names. Meeting all the recommended security points on their checklist requires that you turn off the default login. But if you already have a retail account connected with your AWS account— which is encouraged and can’t be separated— then you must use the default login. The pain arrived today. According to AWS billing records, my otherwise innocent micro instance had been spending several days last month spewing obscene amounts of data for an unknown reason to an unknown destination, racking up a huge bill. While chances are this is something I might have been able to do something about, there’s little evidence immediately available to even corroborate that this data actually transferred. I haven’t submitted a ticket yet to Amazon to see if there’s anything they can do to, at a minimum, explain what happened. In any case, this has inspired me to evaluate deploying my software on other platforms. It’s certainly advantageous to at least be very clear on the extent to which you’re committed to a vendor. Introducing Maven offers comparisons with Gradle, Ant, Ivy, then explains the tasks that can be performed with it, and details of configuring a pom.xml project file. If I’m going to read a whole book on a technology, I’d like a bit more depth. Why does this work, rather than just how it works. 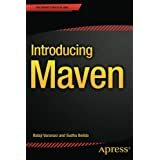 While following the examples in the book, I was able to learn how to build configuration files and utilize Maven. But a different book might have provided more underpinnings: what is the fundamental paradigm that will obviate the need to go through tutorials and practice. Mysql 5.7.9 has some additional security features that are at least useful for slamming your head against, if not actually improving your security. There’s a default password set for ‘root’ when first running the server. The password is not generated as a result of the installation as the documentation claims, but only when the server is actually started. Don’t go hunting for it until you’ve started the server. One measure of a great novel is whether it's worth reading a second time. Similarly, the measure of a great technical book is whether it's worth reading cover to cover when you are already familiar with the topic. As a Java programmer, I might have assumed that reading an entire book on the Java language would not be a worthwhile way to pick up the handful of tidbits that I'd managed never to have acquired. But I would have been wrong. 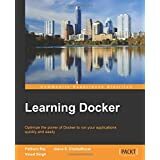 While this text could be used for someone with a programming background but new to Java, it's structured well enough to solidify and enhance the understanding of someone who's already done this a few years. Specifically, the authors' experience shows when they explain various options for using a feature of the language, explain the comparisons, and then unabashedly advise "do it this way; don't do it the other way". For example, the section on multithreading gives clear and concise explanations as to how create threads and locks and use the "synchronized" keyword, and compelling explains why you'd want to use each of the various options, including the "never" do this cases. It would have been easy to gloss over "type erasure", as the phrase doesn't imply what it is or why we would care. By including clear opinions and warnings from their own experience, I now understand that generic types in Java are a compile-time construct rather than a full enhancement to the underpinnings of the runtime. The authors explain every consequence of the fact that Java containers actually lose some of their type information after compilation, and therefore why there are arbitrary-seeming limitations and otherwise inexplicable compile-time errors. 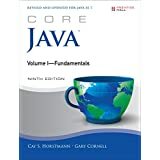 While this book is titled as if it would be a solid reference book to let collect dust on your shelf, I found it much better suited for enhancing my mental framework about what Java can and can not do by simply reading it.